For thousands of years, chocolate has been used as a comfort, a treat, a cure, a currency, and even a sacred symbol. 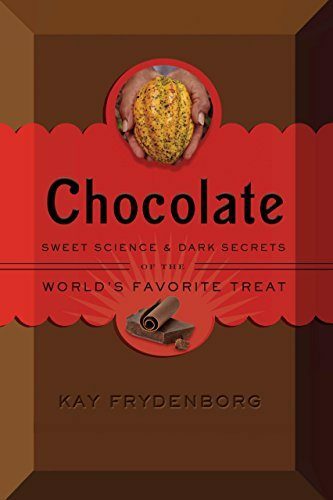 Explore the social, economic, and environmental angles of chocolate production with this new, engaging, and multi-faceted read for young adults (ages 12+) written by Kay Frydenborg. No matter the discipline area – teachers can find a connection to chocolate. This easy-to-navigate, non-fiction chapter book can help teachers and students connect chocolate to subjects such as history, science, culture, and even religion. Peppered with photographs, recipes, and informational sidebars, learners of multiple modalities are invited to engage with something familiar in new, exciting, and delicious ways. What is the difference between cacao and cocoa? Where do cocoa woods grow? What color are the cacao tree’s flowers? Where did cacao originate? Why do we crave chocolate? Enjoy exploring these questions and more with this age-appropriate reference book. Be sure to check out the Chocolate Timeline, which begins with 8000 B.C. and is located in the back of the book, as well as the helpful website listing to continue the chocolate conversation.